Cape Town is fairly easy to navigate using the sea and Table Mountain as your major landmarks. 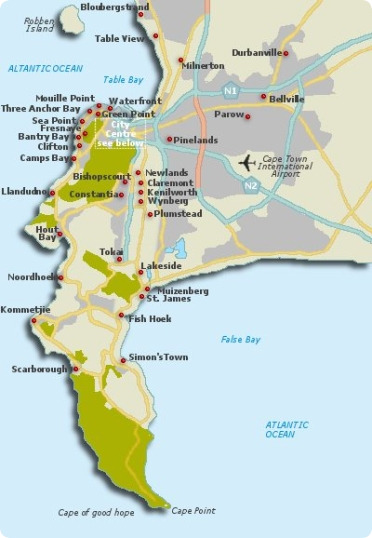 The map below highlights most of the major areas in Cape Town and surrounds. 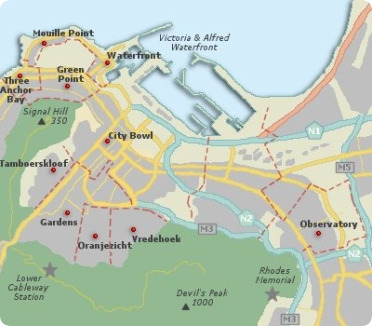 > Visit Map Studio for comprehensive street maps of Cape Town. Watch an introductory video clip of Cape Town. Watch all our video clips of Cape Town.